January 8, 1790: Following his experience with the vital importance of espionage during the Revolution, in the first State of the Union address, President George Washington requested that Congress establish a “secret service fund” for clandestine activities. Congress agreed and, within two years, the secret service fund represented more than 10% of the federal budget. 1928: In Olmstead v. United States, the Supreme Court decides that evidence from wiretaps placed by federal officials without judicial approval is permissible and that allowing the wiretaps did not violate the suspected bootlegger’s Fourth Amendment rights as the case involved phone conversations and not physical artifacts, nor did the federal agents trespass on the accused’s property. This decision is overturned in Katz v. United States (1967). 1934: The Federal Communications Act is the first law to formally address wiretapping and establishes the Federal Communications Commission (FCC). Under the Act, wiretapping is not illegal, but information gathered may not be disclosed. 1945: The Armed Forces Security Agency, the predecessor to the NSA, begins project SHAMROCK, an intelligence-gathering scheme that collects – without warrants – the international telegrams coming through ITT World International, RCA Global, and Western Union to screen for espionage and Soviet spying. The program runs for 30 years. 1967: LBJ establishes the Minaret program for the NSA to monitor the phone communications of 1,650 designated US citizens, including Senators Frank Church and Howard Baker, major civil rights leaders such as Dr. Martin Luther King and Muhammad Ali, and prominent U.S. journalists, athletes and actors who criticized the Vietnam War. An internal review by the NSA concluded that its Minaret program was “disreputable if not outright illegal”. In Katz v. United States, the The Supreme Court overturns the precedent set by Olmstead v. United States, determining that the Fourth Amendment does protect non-tangible possessions such as phone calls and electronic transmissions as well as the “reasonable expectation of privacy” in places like home, office, hotel room, phone booth. Examination of such places and things now requires a warrant. 1968: Congress passes the Omnibus Crime Control and Safe Streets Act, the first federal law to restrict wiretapping. However, the law makes exception for the president’s overriding authority to approve wiretaps in the service of protecting the United States. 1972: President Nixon is impeached for his part in the Watergate scandal. Misdeeds include attempted wiretapping and theft of secret documents. 1975: Headed by Senator Frank Church, the “Church Committee” investigates intelligence gathering by the CIA and FBI, uncovering hundreds of instances of warrantless wiretappings and unauthorized electronic surveillance. 1978: President Carter signs the Foreign Intelligence Surveillance Act (FISA), which establishes a secret court to hear requests for warrants for “electronic surveillance to obtain foreign intelligence information”. 1986: An amendment to the Omnibus Crime Control and Safe Streets Act of 1968, the Electronic Communications Privacy Act (ECPA) adds wireless and data communications (cell phone conversations and internet communication) to the Act. Stored data more than 180 days old, however, is still vulnerable. 1995: First court-ordered wiretapping leads to the arrest and conviction of Julio Ardita, who used computers at Harvard to hack government sites. 2001: In the wake of 9/11, Congress passes the Patriot Act, which makes significant changes to FISA and ECPA, including easing wiretapping restrictions (by allowing roving wiretaps, for example). Section 215 allows the sharing of “any tangible thing” as part of a foreign intelligence or international terrorism investigation. 2002: The National Joint Terrorist Task Force (NJTTF) is created. A multi-agency collaboration, local task forces consist of “small cells of highly trained, locally based, passionately committed investigators, analysts, linguists, SWAT experts, and other specialists” created to collect intelligence and combat terrorism. 2003: The passage of the Homeland Security Act by Congress creates the Department of Homeland Security (DHS), “a stand-alone, Cabinet-level department to further coordinate and unify national homeland security efforts”. AT&T technician Mark Klein discovers a secret room at the company’s facility in San Francisco. He later testifies in a federal lawsuit against the NSA by the Electronic Frontier Foundation that the room was set up to accomplish “vacuum-cleaner surveillance” of internet use of millions of unsuspecting Americans, without the consent of other carriers. 2005: The New York Times reveals government surveillance going back to 2002, including warrantless wiretapping of phone and internet of possibly thousands of Americans. 2006: The USA Patriot Act is renewed and signed by President Bush. In October of that year, President Bush issues the first National Strategy for Information Sharing). 2008: President Bush signs the FISA Amendments Act that allows retroactive immunity for telecom companies that cooperate with governmental information gathering. 2009: The New York Times reports that the NSA is involved in “significant and systemic over-collection” of domestic communications. 2010: President Obama signs a one-year extension of expiring portions of the Patriot Act. In November of that year, Secure Flight is established by the DHS to help streamline and make uniform the watch list system that is administered by the Transportation Security Administration (TSA). Prior to the implementation of Secure Flight, individual airlines were responsible for comparing passenger information with the government’s watch lists (including the No Fly List for immediate threats and the Selectee List for enhanced screening). WikiLeaks and other news organizations begin publishing excerpts from classified military documents captured by Private First Class Bradley Manning. Private Manning is arrested in May in Iraq and was court marshaled for 21 counts related to the leaking of more than half a million documents, or “cables” related to the wars in Iraq and Afghanistan. 2011: A subpoena is issued for Twitter to furnish account information for individuals involved in the WikiLeaks disclosure of sensitive and confidential diplomatic cables. In May of that year, Congress passes an extension of the Patriot Act. President Obama OKs the bill while in Europe. 2012: The New York Times reports that cell phone carriers responded to 1.3 million demands by law enforcement for subscriber information such as text messages and caller locations. The reports paint a picture of a dramatic increase in cell phone surveillance over the previous five years. Congress extends the FISA Amendments Act for another five years and Obama signs off on the legislation. 2013: The Guardian reports that FISA court judge Roger Vinson issued a secret order to Verizon to hand over “metadata” – time, duration, numbers called (without revealing the actual call content) – to the NSA for a three-month time frame. The Wall Street Journal reports on similar arrangements with AT&T and Sprint. The Guardian and The Washington Post simultaneously reveal a secret program called PRISM, which was launched in 2009, that grants NSA access to the personal data of millions of people through Microsoft, Yahoo, Google, Facebook, Apple, and AOL. Two days later, the Office of the Director of National Intelligence releases a three-page comment citing the FISA Amendments Act of 2008 as legal justification. On June 21, the government files charges of espionage against Edward Snowden, a former NSA contractor, for the information leak. FBI director Robert Mueller admits that the United States employs drones as part of the domestic surveillance program. The first ruling against the NSA’s surveillance program is handed down on December 16 by the Federal District Court for the District of Columbia. The ruling states that the program is “significantly likely” to violate the Fourth Amendment’s protection against unreasonable searches. On Dec. 18, an advisory panel commissioned by President Obama released a 300-page report that recommended 46 changes to the NSA’s surveillance program. The recommendations included: handing authority of metadata gleaned from surveillance to a third party, such as a telecommunications company or a private group; requiring that NSA analysts obtain a court order before accessing the data; requiring that the government obtain a court order before issuing national security letters which force businesses to hand over private customer information; banning the government from using “back door” methods to gain access to hardware or software; and that an advocate should argue in favor of civil liberties in cases that come before the FISA Court. The report also said the NSA’s surveillance program has not been “essential to preventing attacks”. 2014: On Jan. 17, President Obama announces reforms to the country’s surveillance program based on the panel’s recommendations. He said that while he believed the activities of the NSA were legal, he acknowledged that some compromised civil liberties. The reforms he outlined include: requiring NSA analysts to get a court order to access phone data except in cases of emergencies; an eventual end to the collection of massive amounts of metadata by the government; the NSA will stop eavesdropping on leaders of allied nations; officials can pursue a phone number linked to a terrorist association by two degrees rather than three; and Congress will appoint advocates to argue on the side of civil liberties before the FISA court. He did not implement the recommendation about a court order for national security letters. Another report, released on Jan. 23 by the Privacy and Civil Liberties Oversight Board, an independent agency, says the NSA program is likely both illegal and unconstitutional and has not proven to be effective in fighting terrorism. The report recommended that the collection of the metadata be shut down. Ties between the US and Germany deteriorates in July amid reports that the US hired a clerk at Germany’s intelligence agency to steal hundreds of documents. Days later, German officials announce they believe they had uncovered a second spy working for the US. In response, Germany expels the CIA station chief from Berlin. Echelon was created during the Cold War in collaboration with the United Kingdom (Government Communications Headquarters), Canada (Communications Security Establishment), Australia (Defence Signals Directorate), and New Zealand (Government Communications Security Bureau), otherwise known as the UKUSA group. 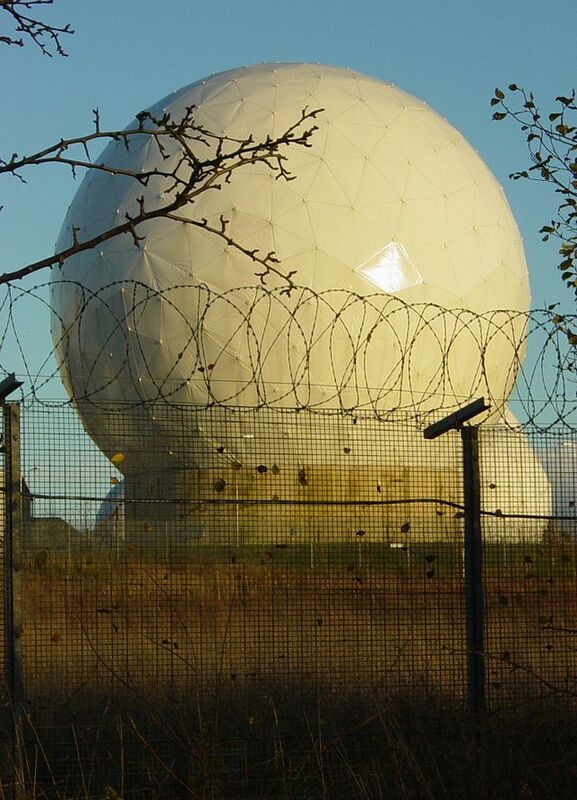 Its capabilities were suspected to include the ability to monitor a large proportion of the world’s transmitted civilian telephone, fax and data traffic. 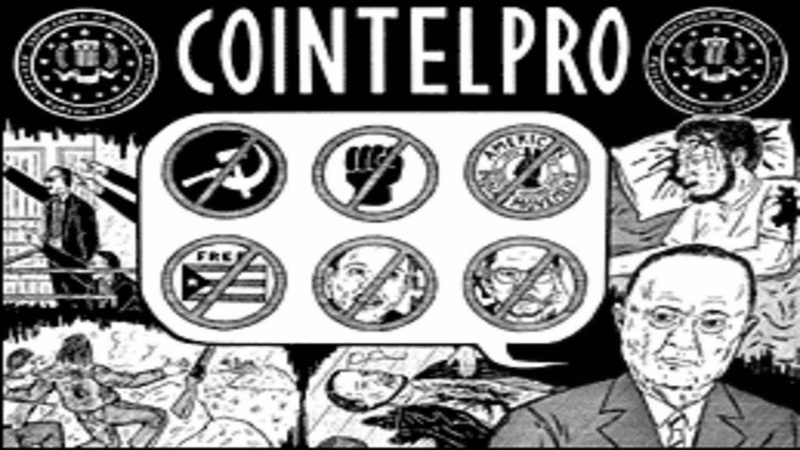 The Counter Intelligence Program (COINTELPRO) was a series of covert, and at times illegal, projects conducted by the United States Federal Bureau of Investigation (FBI) between 1956 and 1971, aimed at surveying, infiltrating, discrediting, and disrupting domestic political organizations. FBI records show that 85% of COINTELPRO resources targeted groups and individuals that the FBI deemed “subversive”, including communist and socialist organizations; organizations and individuals associated with the civil rights movement, including Martin Luther King, Jr. and others associated with the Southern Christian Leadership Conference, the National Association for the Advancement of Colored People, and the Congress of Racial Equality and other civil rights organizations; black nationalist groups; the American Indian Movement; a broad range of organizations labeled “New Left”, including Students for a Democratic Society and the Weathermen; almost all groups protesting the Vietnam War, as well as individual student demonstrators with no group affiliation; the National Lawyers Guild; organizations and individuals associated with the women’s rights movement; nationalist groups such as those seeking independence for Puerto Rico, United Ireland, and Cuban exile movements including Orlando Bosch’s Cuban Power and the Cuban Nationalist Movement; and additional notable Americans – even Albert Einstein, who was a member of several civil rights groups, came under FBI surveillance during the years just before COINTELPRO’s official inauguration. The remaining 15% of COINTELPRO resources were expended to marginalize and subvert white hate groups, including the Ku Klux Klan and the National States’ Rights Party. FBI Director J. Edgar Hoover issued directives ordering FBI agents to “expose, disrupt, misdirect, discredit, or otherwise neutralize” the activities of these movements and their leaders. Attorney General Robert F. Kennedy, although himself the target of FBI surveillance, personally authorized some of these programs. In the years after President Richard Nixon resigned, Senator Frank Church headed a Senate investigating committee (the Church Committee) which uncovered previously unknown activity, including NSA’s wiretaps on targeted American citizens. After the Church Committee hearings, the Foreign Intelligence Surveillance Act (FISA) of 1978 became law, limiting circumstances under which domestic surveillance was allowed. NSA created new IT systems to deal with the flood of information from new technologies like the internet and cell phones. The first was ThinThread, which involved advanced data mining capabilities. It also had a ‘privacy mechanism’, such that surveillance was stored encrypted and decryption required a warrant. Thinthread was cancelled when NSA Director Michael Hayden replaced it with Trailblazer in 2000, which did not include the privacy system. Some NSA whistleblowers complained internally about major problems with Trailblazer and the project was cancelled circa 2003-2004, but the government raided the whistleblower’s houses, and one was charged with espionage. Turbulence started circa 2005, and included offensive cyber-warfare capabilities, such as injecting malware into remote computers. On December 16, 2005, the New York Times reported that, with an executive order from President George W. Bush, the NSA, in an attempt to thwart terrorism, had been tapping phone calls made to persons outside the country without obtaining warrants from the FISA Court. 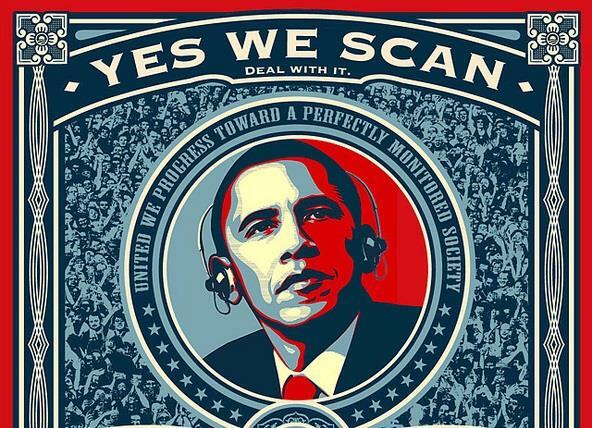 One such surveillance program, authorized by the U.S. Signals Intelligence Directive 18 of President Bush, was the Highlander Project, which relayed telephone (including cell phone) conversations obtained from both ground, airborne, and satellite monitoring stations to various U.S. Army Signal Intelligence Officers. Conversations of citizens of the U.S. were intercepted along with those of other nations. In the August 2006 case ACLU v. NSA, a US District Court Judge concluded that NSA’s warrantless surveillance program was both illegal and unconstitutional. On July 6, 2007 the 6th Circuit Court of Appeals vacated the decision on the grounds that the ACLU lacked standing to bring the suit. Carnivore was a system implemented by the FBI in October 1997 that was designed to monitor email and electronic communications. The Carnivore system was a Microsoft Windows-based workstation with packet-sniffing software and a removable disk drive. This computer must be physically installed at an internet service provider (ISP) or other location where it can “sniff” traffic on a LAN segment to look for email messages in transit. After negative coverage in the press, the FBI changed the name of its system from “Carnivore” to the more benign-sounding DCS1000, which stands for “Digital Collection System”, and has the same functions as Carnivore. In 2001, the FBI essentially abandoned Carnivore in favor of commercially available software, such as NarusInsight. Soon after the 9/11 attacks, President Bush authorized the President’s Surveillance Program, which included Stellerwind, a code name for a set of four surveillance programs that brought Americans and American territory within the domain of the National Security Agency for the first time in decades. It involved data mining of the communications of American citizens, including e-mail, telephone conversations, financial transactions, and internet activity. Presidential aides Andrew Card and Alberto Gonzales show up at the hospital bed of John Ashcroft to convince the seriously ill Attorney General to sign off on the extension of a secret domestic spying program. Ashcroft refuses, believing the warrantless program to be illegal. On March 12, 2004, acting attorney general James B. Comey and the Justice Department’s top leadership reached the brink of resignation over these presidential surveillance orders that they believed to be illegal. 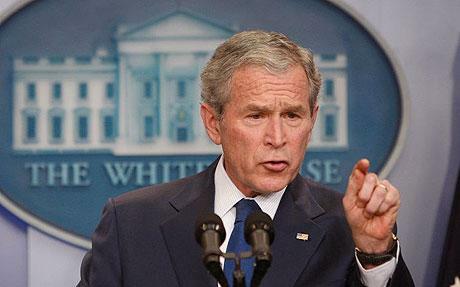 President Bush backed down, halting operations that on domestic targets. The last presidential authorization expired on February 1, 2007, but some of the collection activities were continued, first under the authority of the Protect America Act of 2007, and then under the FISA Amendments Act, enacted in July 2008. Narus is a company which provides real-time network traffic and analytics software with spyware capabilities. It was co-founded in Israel in 1997, but became a wholly owned subsidiary of Boeing in 2010. Narus is the creator of NarusInsight, a supercomputer system whose installation in AT&T’s San Francisco internet backbone gave rise to a 2006 class action lawsuit by the Electronic Frontier Foundation against AT&T. In May 2006, Mark Klein, a former AT&T employee, alleged that his company had cooperated with NSA in installing Narus company hardware to replace the FBI Carnivore program, to monitor network communications including traffic between American citizens. 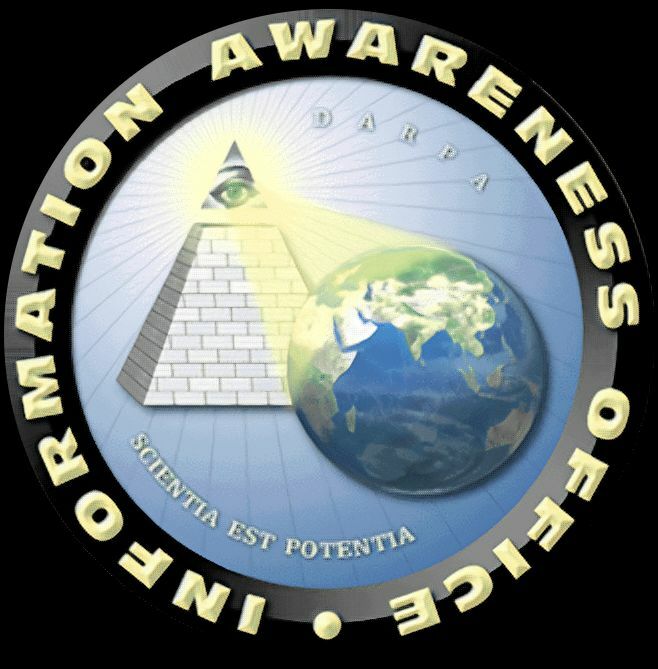 The Information Awareness Office (IAO) was established by the Defense Advanced Research Projects Agency (DARPA) in January 2002 to apply surveillance and information technology to track and monitor terrorists and other asymmetric threats to U.S. national security, by achieving Total Information Awareness (TIA). This would be achieved by creating enormous computer databases to gather and store the personal information of everyone in the United States, including personal e-mails, social networks, credit card records, phone calls, medical records, and other sources, without any requirement for a search warrant. This information would then be analyzed to look for suspicious activities, connections between individuals, and “threats”. Additionally, the program included funding for biometric surveillance technologies that could identify and track individuals using surveillance cameras, and other technologies. Following public criticism, the IAO was defunded by Congress in 2003. However, several IAO projects continued to be funded, and merely run under different names. Legislators included a classified annex to the Defense Appropriations Act that preserved funding for TIA’s component technologies, if they were transferred to other government agencies. TIA’s two core projects are now located among the 60-odd buildings of “Crypto City” at NSA headquarters in Fort Meade MD. One technology, codenamed “Basketball” is the Information Awareness Prototype System, the core architecture to integrate all the TIA’s information extraction, analysis, and dissemination tools. The other project has been re-designated “TopSail” (formerly Genoa II) and would provide IT tools to help anticipate and preempt terrorist attacks. 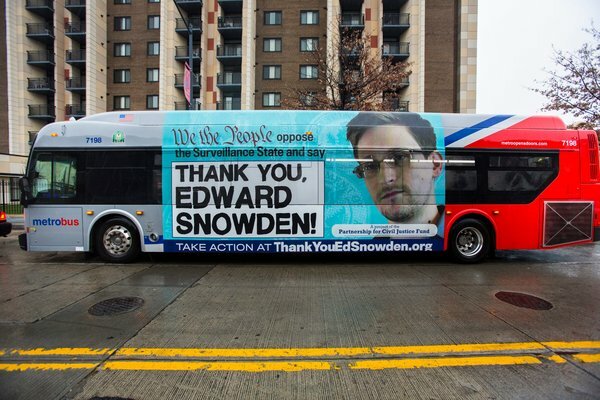 In 2009 the NSA intercepted the communications of American citizens, including a Congressman. Attorney General Eric Holder resumed the wiretapping according to his understanding of the FISA amendment of 2008. On April 25, 2013 the NSA obtained a court order requiring Verizon’s Business Network Services to provide information on all calls in its system to the NSA “on an ongoing daily basis”. 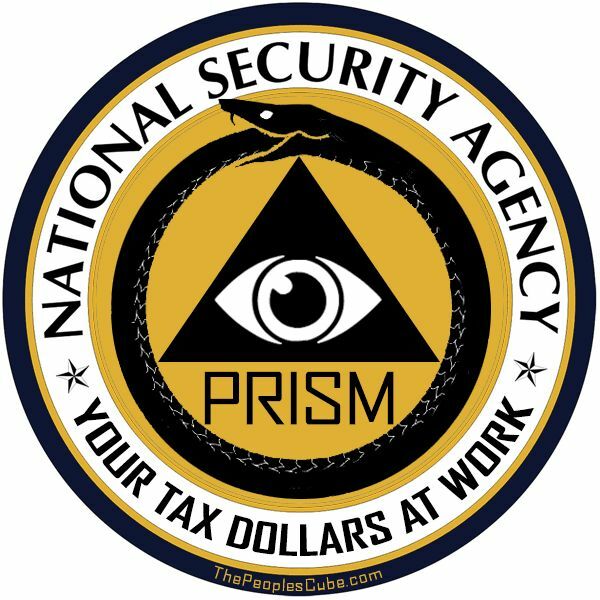 NSA is reported to use its computing capability to analyze “transactional” data that it regularly acquires from other government agencies. As part of this effort, NSA now monitors huge volumes of records of domestic emails and internet searches as well as bank transfers, credit-card transactions and travel and telephone records. The NSA began the PRISM electronic surveillance and data mining program in 2007. PRISM gathers communications data on foreign targets from nine major US-based internet communication service providers: Microsoft, Yahoo, Google, Facebook, PalTalk, AOL, Skype, YouTube and Apple. Data gathered include email, video and voice chat, videos, photos, voice-over-IP chats such as Skype, and file transfers. Boundless Informant employs big databases, cloud computing technology, and Free and Open Source Software (FOSS) to analyze data collected worldwide by the NSA, including that gathered by way of the PRISM program. Mainways is a surveillance program aimed at the phone logs and location information of millions of Americans. Marina targets the internet contact logs and location information of foreign users. Nucleon intercepts telephone calls and routes their contents to government listeners. Prism, exposed recently by NSA contractor Edward Snowden, forces major internet firms to turn over the detailed contents of internet communications. Prism is aimed at foreign users but sometimes also sweeps up the content of Americans’ emails and other internet communications. The National Security Agency’s wholesale gathering of US phone records was enabled by a previously unknown decision by the FISA Court. Under the PATRIOT Act, businesses can be forced to turn over customers’ records if investigators can prove they’re “relevant to an authorized investigation”. In a series of orders dating back to the mid 2000s, the FISA Court endorsed an expansion of the word “relevant” to mean “an entire database of records on millions of people”. The US Postal Service has been carrying out a Mail Isolation Control and Tracking program, which photographs every piece of mail in its system. Around 160 billion envelopes, packages, and postcards are documented each year. The contents are never read without a warrant, but they allow investigators to learn key information including “names, addresses, return addresses and postmark locations”. The Patriot Act Section 215 authorizes orders that allow the FBI to request that the FISA Court force a company to turn over “tangible things”, which could be driver’s license records, credit card records, emails, phone metadata and much more if it could be relevant to a national security investigation. Section 702 of the Foreign Intelligence Surveillance Act allows the NSA to request communication information of non-U.S. citizens and “incidental collection” of data on American citizens. Section 505 of the Patriot Act allows gag orders with National Security Letters that are used to request a customer’s communication information from phone companies and internet service providers. The National Security Letters have allowed the FBI to request information about Americans from companies hundreds of thousands of times, while preventing them from notifying the public about it.